The Genesis GV80 is the luxury brand’s first-ever SUV. The hauler is scheduled to break cover in 2019 and we’ve already seen it being tested on public roads. The crossover will share design cues with the G80 sedan and borrow much of its underpinnings from existing Genesis products. Envisioned in the early 2000s while Hyundai was developing the first-generation Genesis sedan, the Genesis brand was officially established as a standalone marque in November 2015. And since then, things progressed incredibly fast. The flagship G90 was launched in late 2015, followed by the slightly smaller G80 in early 2016. In 2017, Genesis launched its third vehicle, the G70, which is smaller than the G80 and aimed at the compact premium market. 2017 also brought the GV80, a concept that previews the company’s first SUV. 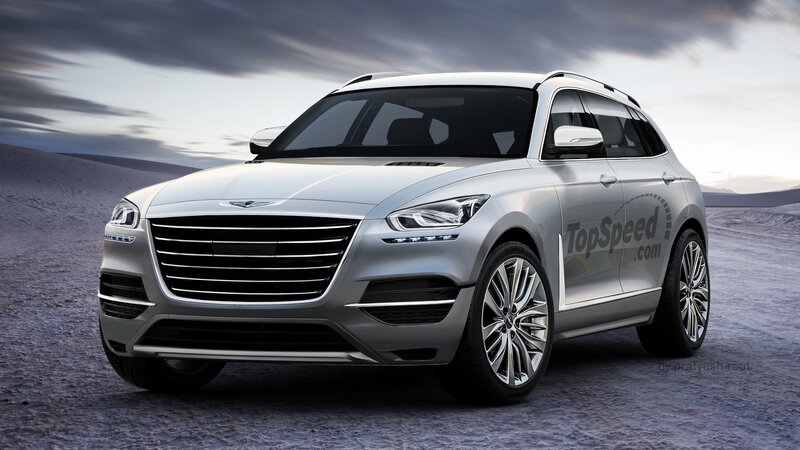 What’s particularly interesting here is that unlike other brands, Genesis jumps on the SUV bandwagon with a full-size vehicle. Specifically, the GV80 will go against the Mercedes-Benz GLS and the BMW X7. Obviously, the big question is whether Genesis will be able to give its competitors a run for the money. I won’t be able to provide an accurate answer until it hits showrooms, but let’s take a closer look at what we already know about this SUV. 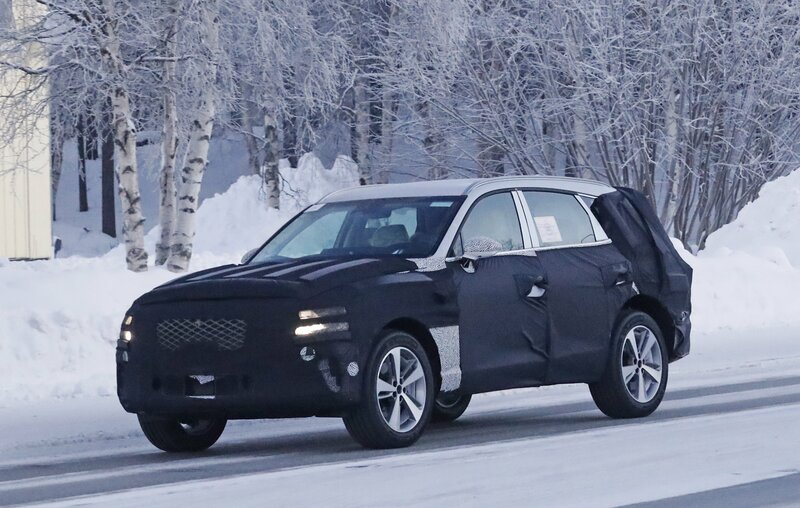 Updated 01/25/2019: The upcoming Genesis GV 80 was caught testing for the first time. The model is supposed to be unveiled later this year, so stay tuned for updates! The Genesis brand has finally confirmed its plans to enter the crossover and SUV market, beginning with its first SUV offering, the GV80. Named directly after the concept version that the company unveiled last year, the GV80 will usher in a lineup of crossovers exclusively developed and sold under Hyundai’s premium brand. In addition to the GV80, a smaller crossover, called the GV70, will also arrive at a later date. SUVs and crossovers are all the rage at this year’s New York Auto Show, and one of the most rage-y of them all is the Genesis GV80 Concept. 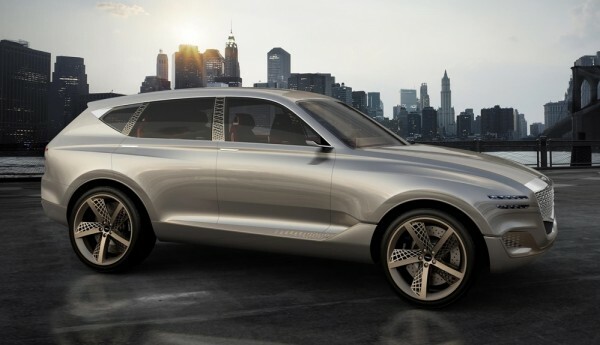 This fuel cell concept previews an upcoming luxury SUV from Hyundai’s sub-brand in charge of high-end models, Genesis. Despite being forward-looking with its on-board technology Genesis GV80 Concept has a traditional approach to luxury. It puts emphasize no size, interior space, exterior bling, and indulgent features such as a 22-inch curved OLED infinity display or a concave gorilla glass touchpad and knurled metal wheel with handwriting recognition. But it does feature the latest plug-in hydrogen fuel cell electric technology to combine eco-performance and capability. Not that you can expect to see this in a near-future production model, but some day. The post Official: Genesis GV80 Concept appeared first on Motorward.